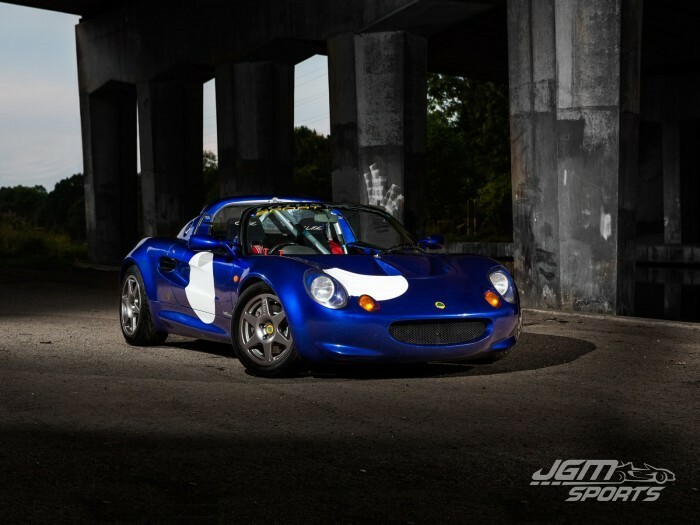 Ultra rare S1 Lotus Elise Sport 190 out of hibernation and prepared for sale. 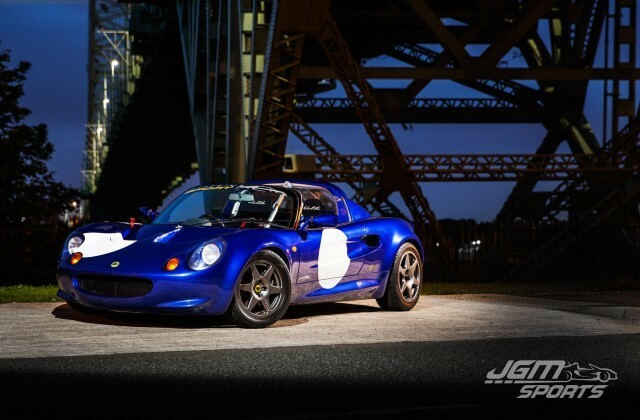 The Series 1 Lotus Elise Sport 190 is a track only special, the rarest of all the S1 Elise models with a total build number of only 36, 19 of which were for the UK and a number for the American market. If you would like more information on the factory specification of the Sport 190 please see the original advert. Alternatively the photos should give you an idea what a serious bit of kit they are. This Sport 190 SVO model (Special Vehicle Operations) was a two owner car and had only managed to clock up 14,000 miles in 16 years. 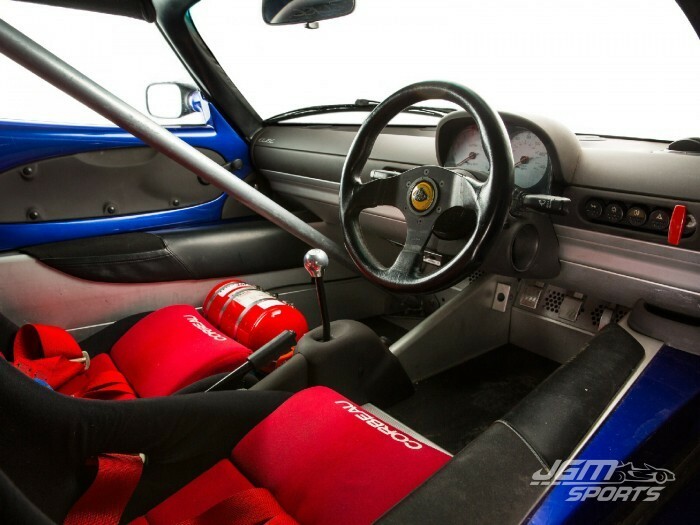 The previous owner purchased the car in the year 2000 and used it mainly as a track car up until 2008. 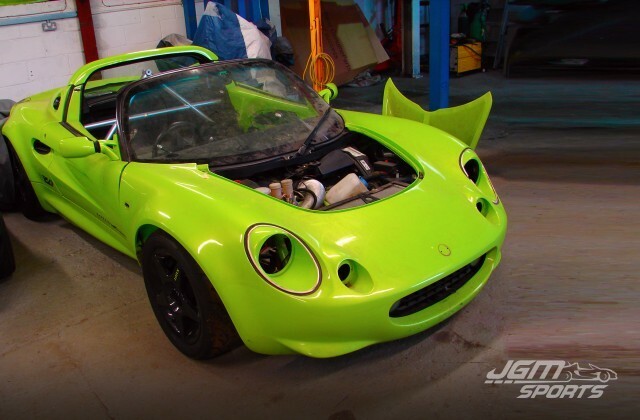 It was then put in the owner’s garage while other project cars were focused on. Due to the owner emigrating in 2014 we purchased the car after doing a little research. As with all of our cars, a full dealer HPI check was made and everything came back clear. All Sport 190’s have an ‘E’ for ‘Race’ in the 12th digit of the chassis number which was correct with this car. 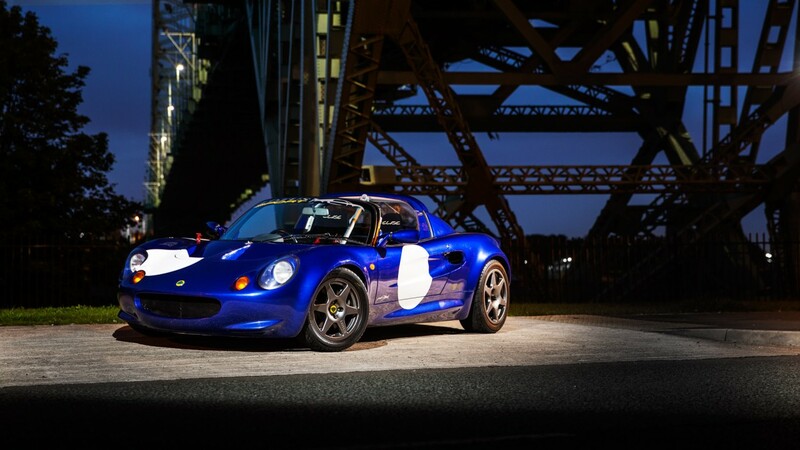 With it being such a rare car we contacted Lotus with the chassis number and they confirmed that not only was it a genuine Sport 190 but was in fact the 2nd ever built and only 1 of 5 made in Metallic Azure Blue paint code B20. Bonus! With such little use over the last 6 years a small recommission was required. Whereas ‘Hot lips’ had sat in a dusty barn for 4 years completely untouched this Sport 190 had been in a residential garage and regularly started/warmed up and driven down the road for the odd MOT. We knew it was at least a runner. However the cambelt was long overdue so we had the car transported. The car was sporting one aftermarket upgrade. Back in 2001, if you wanted more power you had to work with what you had, there were no engine conversions and for the ultimate power at the time the TT supercharged upgrades were the best option. TT offered a number of different power upgrades TT190, TT215, TT230 and the ultimate TT260 which was only available on VHPD (Very High Performance Derivative) engine cars. 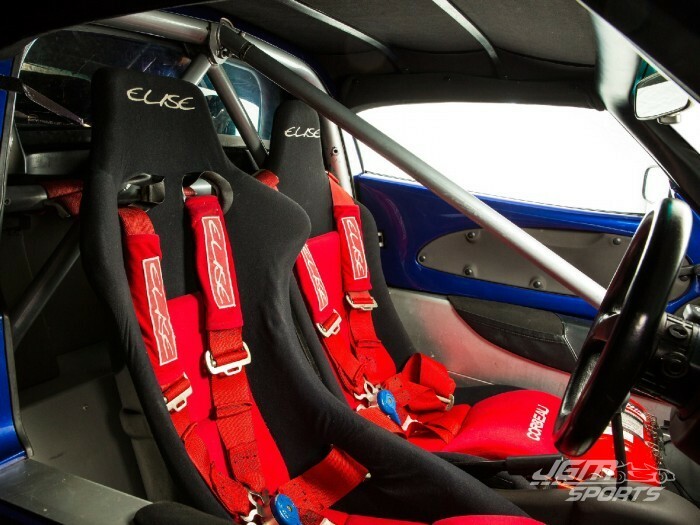 These could be found in the S1 Exige and the 340r and of course the Sport 190 Elise. 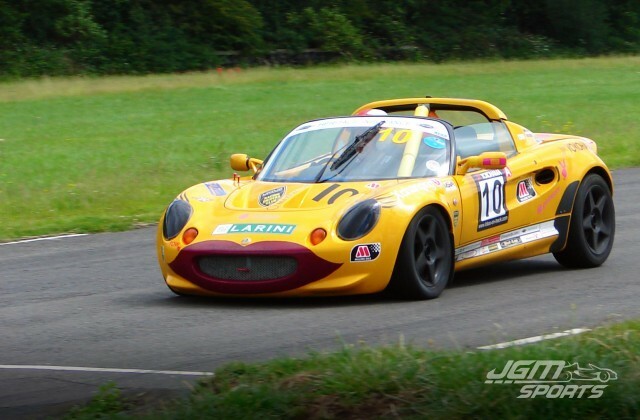 This Sport 190 was sent to TT and used as the development car for the TT260 conversion. 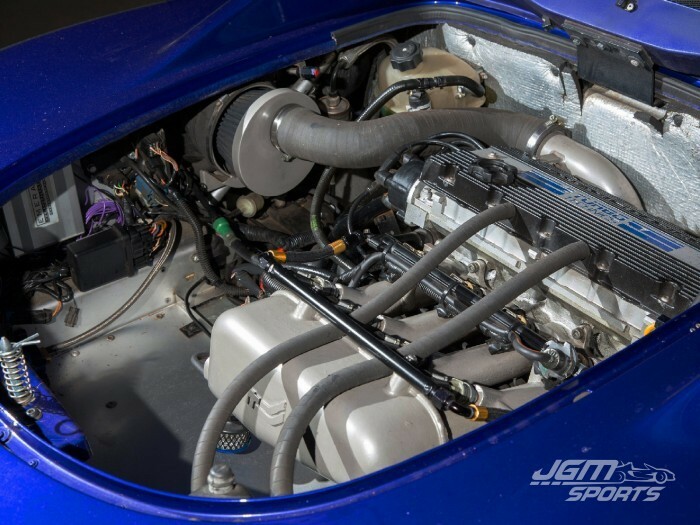 Having owned a number of 190 VHPD cars and even a 1.9 230bhp I was keen to experience the TT260 conversion although I had to keep in mind its lack of use. After a quick inspection, checking all fluids and tyre pressures I flicked on the main master switch and after a few turns it grumbled into life settling down to a lumpy 1,200rpm idle typical of a VHPD. First stop was a fuel station, I had no idea how old the petrol was and with it being supercharged, high octane fuel it is very important. Luckily it was low on fuel so the tank was filled. After a few more miles of driving the car was running well so it was time to stretch its legs. Finding a suitable road I applied some throttle, the supercharger made a very slight whistle followed by a bad missfire from the engine, a few teething problems came as no surprise. On the drive back using part throttle all was fine again so I knew it would be something ignition related. A quick check of the spark plugs found that they were badly fouled up probably from years of cold starts without a good run. A new set of plugs were fitted and I went out for another test drive. The problem was solved and even limiting myself to half throttle and 4,000rpm due to the old cambelt the low down torque was very impressive. With the car running well it was time to make a plan of action. Being such a rare model it was essential everything was kept as original as possible. The low mileage meant it was in excellent overall condition but because of its past track use it wasn’t pristine. It was decided to keep things simple, so a full service with all consumables replaced, full suspension strip/check and a refurbish of the magnesium wheels. 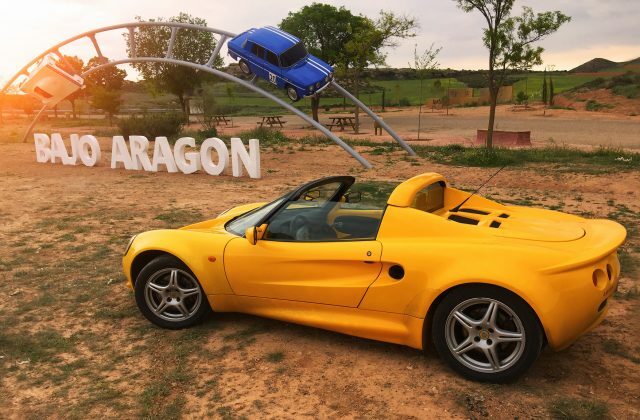 The odd stone chip was in keeping with the originality of the car and showed it was being used as Lotus intended. So no paintwork was required just a good wash and polish. The interior was in great condition just requiring a good clean to bring it all back to life. 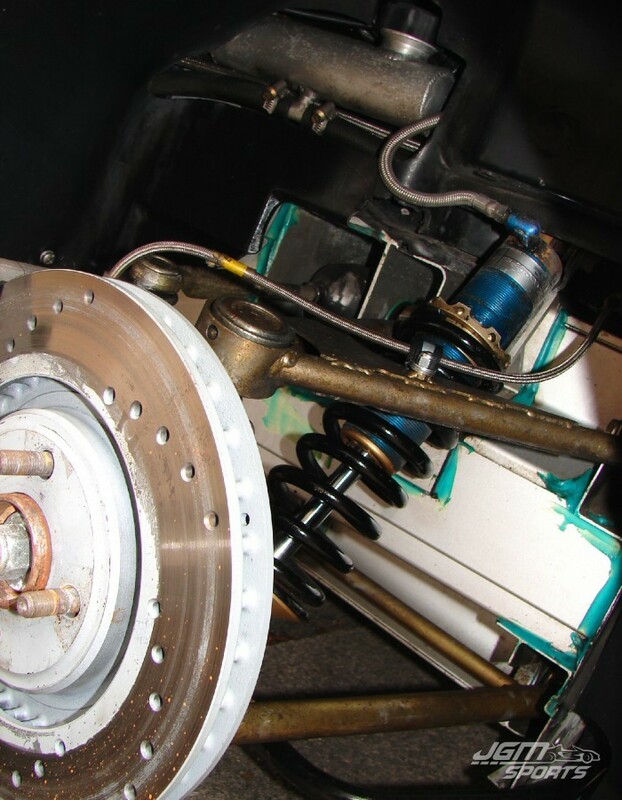 All the suspension components were removed and the chassis was cleaned. The wishbones were immaculate so with the theme of keeping things as original as possible they were just cleaned rather than painted. The Sport 190 came with an adjustable motorsport anti roll bar in black so this was sent off with the magnesium wheels to be refurbished. It was all built back up with a new set of Lotus motorsport brake discs. The end result was an immaculate factory fresh finish. The engine was given a full service including the long overdue cambelt and a new supercharger belt. Gearbox oil was changed and before replacing the coolant a remote thermostat kit was purchased and installed. To finish off, the refurbished magnesium wheels were fitted with new tyres and Lotus stickers. With inspiration from the Sport 190 press car, white racing decals where fitted to each door and the front clam. An original soft top roof amongst other items were also sourced just to make it a complete car. The Sport 190 was almost ready for sale but readers of the other feature cars will know as with all cars I get with programmable ECU’s I like to get them onto a rolling road for a health check and power run. So even with the cambelt done and the engine fully serviced I still held back to experience the full effect of the TT260 conversion until the rolling road day. Once on the rolling road it was obvious the car was making very good power and although the map was good it wasn’t perfect. A few days later the car was ready with a better cold start map and a power run graph showing 280bhp with 230Ib ft torque, thats 20bhp more than the TT260 name suggests, not bad for an old K-series! The drive back was interesting, the torque of the engine together with the Sports 190 close ratio box just made any gear at any speed effortless even at low rpm and it just kept pulling all the way to 7,000rpm. It was by far the fastest K-series car I have driven to date and a much more usable power band than the T-series turbo Elise. Another good clean and the Sport 190 was advertised. 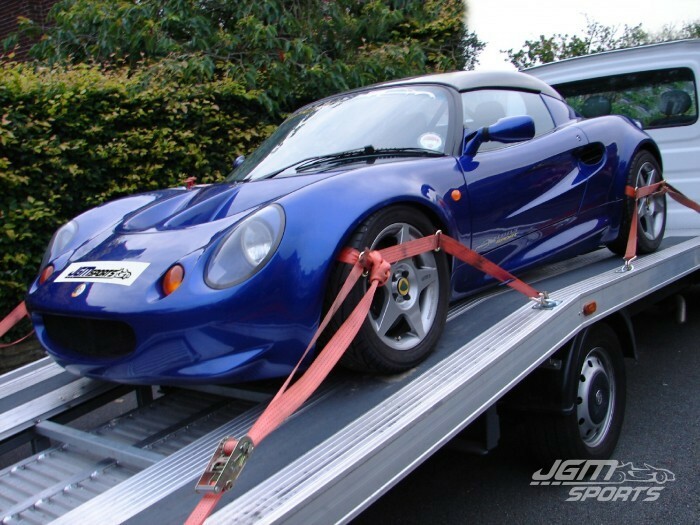 It received a huge amount of interest from the UK and abroad, after an inspection with another Lotus specialist who would be maintaining the car in the future the for lucky new owner Steve R, a deal was done including delivery which meant it was sold within a week. We are always more than happy to have our cars inspected by a third party garage before sale.